Heading to Seattle for the 2018 INTA Annual Meeting? This year’s INTA conference will take place from May 19-23 in Seattle, the city famous for Jimi Hendrix, Nirvana, and its addiction to coffee. We have got you covered with places to see, things to do, and must eats during your downtime. We also included a list of places throughout the city to schedule or take your meetings. With the increasing importance of trademarks and brands, it is no surprise last year’s INTA recorded the largest turnout and we are excited to see the turnout this year! If you have not already, do not forget to register for INTA here! The current price for non-members is $2,050 and $1,400 for members. If you are looking for a guide to official and unofficial INTA events, stay tuned! Every year, INTA offers a variety of events, talks, sessions, and networking opportunities. And, of course, you will likely have several meetings of your own. Take a look at INTA’s Schedule by Day. Join the conversation and network during Table Topics. Just because it is INTA does not mean you cannot have fun while doing business. INTA is offering a variety of activities for its registrants to participate. Get to know your fellow colleagues and potential clients while whale watching, on a wine country tour, or sailing across puget sound. Check out the full list of INTA’s most successful networking programs here. The buzz has already begun! People are connecting through social media using #INTA18 and #INTA2018. Join the conversation and share your experiences. It is a great way to stay up-to-date on the latest regarding the INTA Seattle conference. While INTA offers an area to mingle at the exhibit hall, why not take advantage of the Seattle scene? Here are a few spots we recommend that’s just a short walk from the exhibit hall and in the heart of Pike Place Market. Storyville Coffee Company: This coffee shop has incredible coffee, impressive ambiance, and lots of space. Pennyroyal: This bar is perfect if you are looking for a quiet sophisticated spot to meet over drinks. Moore Coffee Shop: This café offers a variety of options for seating, great coffee, and conversation starters to break the ice (how about that latte art?). Whether you are traveling by land or sea, Seattle’s transportation system has got you covered. Light Link Rail - Travels to and from Angle Lake Station to University of Washington through downtown Seattle makings stops along the way. You can find more information on schedule and stops here. King County Metro - This bus service transports you around downtown Seattle and neighborhoods in King County. For more information on route schedules, stops click here. Seattle Streetcars - There are two streetcars that operate in Seattle. The South Lake Union Streetcar makes 11 stops around South Lake Union. The First Hill Streetcar travels to and from Chinatown-International District and Capitol Hill, making 10 stops along the way. Seattle Center Monorail - This iconic transportation connects downtown Seattle and Seattle Center. Washington State Ferries - Ferries are a great way to travel if you’re looking to explore outside the city. You can find more information on schedules and routes here. With great coffee, comes great food. Here is a list of a few fan favorite restaurants and bars to check out while you are in Seattle. 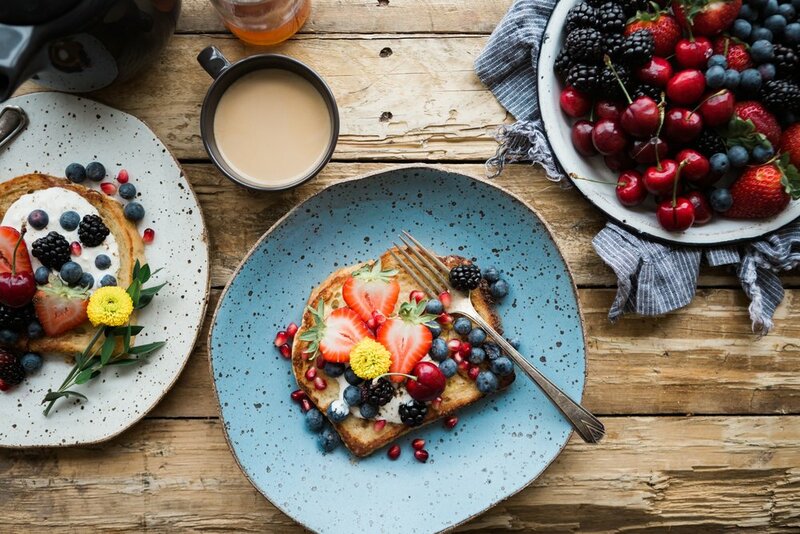 Whether you are looking for breakfast to start your day right or dinner or bar to chat with colleagues, we have got you covered. Portage Bay Cafe, famous for its unlimited topping pancakes and breakfast bar, is one of the most popular spots in Seattle. We recommend you get a reservation ahead of time or if you have time, head to the South Lake Union location, which almost never has a wait. Guess what this spot is known for? Right in the middle of Pike Place Marketing, Crumpet Shop’s crumpets will not disappoint. With a wide variety from ham and tomato to honey, ricotta, and walnut (dubbed “The Life Changer”) this cozy spot will not disappoint. Best of all, you can live out your Dr. Seuss dreams with some green eggs and ham. If you need a little comfort, wander over to the Wandering Goose. The scent of biscuits and chicken will envelop you. This spot is a favorite and a destination for foodies, so head in early! Grab a quick bite at Pike Place Chowder. It is famous for its incredible grub. The line might be intimidating, but it moves quickly and service will not disappoint you. Tilikum is also known for its brunch. Tilikum Place Cafe is popular for its sweet and savory dutch babies. If you are interested, we recommend making reservations ahead of time. Do not forget to head to the Pink Door. This sophisticated yet casual spot serves up amazing Italian dishes. Your meal is prepared with premium fresh ingredients. If you ask us, we recommend the truffle risotto, scallops, oysters, pappardelle al ragu bolognese--on second thought, we recommend it all! This spot is also gluten-free-friendly. If you are looking for Seattle’s seafood dining, we recommend heading over to Blueacre Seafood. From oyster, fish, to scallops, you will not be disappointed! This place is reservation friendly. Whether you are looking kill some time until the next reception, take a break from INTA, or looking to impress your clients or colleagues, Seattle’s nightlife has many great options. The city is filled with live music, craft beer, speakeasies, and swanky cocktail lounges. The Showbox - Some big ticket bands have played this stage so if you are heading to a show here, plan to grab tickets in advance. You can see the lineup for May here. Crocodile - This is a traditional concert venue with a lot of great bands on the lineup. Check out the schedule for May here. Dimitriou’s Jazz Alley - A great large venue for catching a night of jazz performances. Rendezvous - This venue has cabaret, comedy, and a menu full of comfort food. The Triple Door - This is a slightly more formal setting to catch a show in a dinner theater setup. Vito's Restaurant & Lounge - Vito’s hosts a variety of lounge acts and has Italian food too. Bathtub Gin & Co. - This bar doesn’t take reservations and can fill up quickly, so head there early if you want to avoid a wait. Also be sure to enter through the back alley and not the front entrance! Bottlehouse - This house is a wine and tapas bar, serving wine on tap and some tasty charcuterie boards. Needle & Thread - You’ll need a reservation for this speakeasy, which is entered through a vault door after calling the bar from a rotary phone in Tavern Law. Canon - This bar has America’s largest spirit collection, with 4,000 labels (and counting). Rachel’s Ginger Beer - Rachel’s has several colorful, well-designed locations across the city. We’ll definitely be stopping by to grab one of their tap cocktails. Polar Bar - Fitting with the name, this bar comes with a giant light-up polar bear. Liberty - This is a coffee bar, sushi bar, and cocktail bar! A few Yelp reviewers also say the bar has great wifi. If you are looking to squeeze a bit of tourism in between visiting the exhibit hall and your next meeting, then you have come to the right place. Here is a list of must-see spots while you are in Seattle! Ride the Seattle Great Wheel. Take a stroll along Waterfront Park. Visit the Olympic Sculpture Park. Soak up the views of Puget Sound at Golden Gardens Beach Park. Caffeinate at Pike Place Market. Catch a movie at Cinerama. 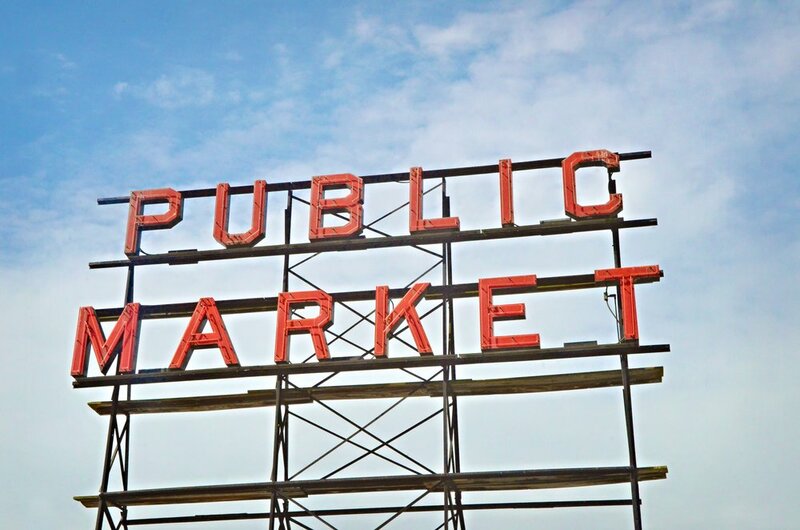 Fun Fact: Pike Place Market Preservation & Development Authority (“PDA”) owns the trademark rights to PIKE PLACE PUBLIC MARKET and PIKE PLACE. You can find a full list of their marks along with additional information in their Trademark Usage Guidelines. Ride the ferry and visit other local areas. Take a 10 minute drive to Fremont and visit the Fremont Troll, art galleries, and shops. Book a tour of Theo Chocolate Factory. Have a drink at Schilling Cider House (10 craft ciders). Fun Fact: Great Western Attractions, LLC owns the trademark rights to THE SEATTLE GREAT WHEEL. Did we leave a must-see spot off the list? Know of great restaurants in Seattle? Send us an email at help@altlegal.com and we will get it on the list.